I’ve taken the plunge and have obtained my own domain Pamela.AvaraArts.com. The entire blog was migrated to the new location and hopefully all the links are working. I do hope that if you’ve been following me here, you’ll follow me in my new location. Task three of the Final Countdown has been announced. Make a list of 12 projects. Well, I’ve been compiling lists and tossing them out only to recompile them again. Some have actually made it onto paper. But this is the first one I’ve published. Since I want to do another UFO push like I did back in 2011 I have have two lists. The only order either of these list are is by date I started the quilt or when I finished the top. Trust me when I say they won’t be finished in this order. In fact the first up on my list beginning tomorrow is Deadline Project IV. Frog Quilt is in the dryer (completing Task One and giving me another 2013 finish – photos to come); my sewing area has been cleaned up and now I have a plan for 2014. Thanks Shelly for doing the Final Count Down Challenge. 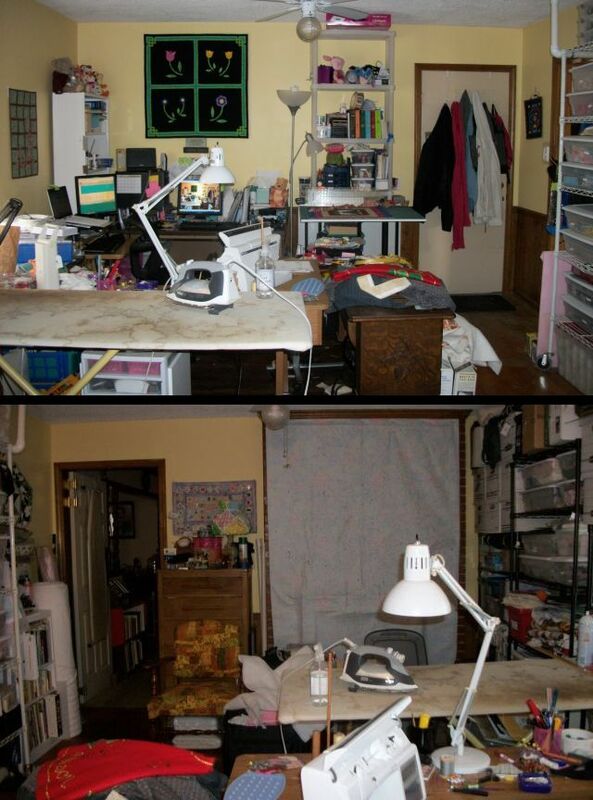 My translation of this task was to clean up the sewing room. 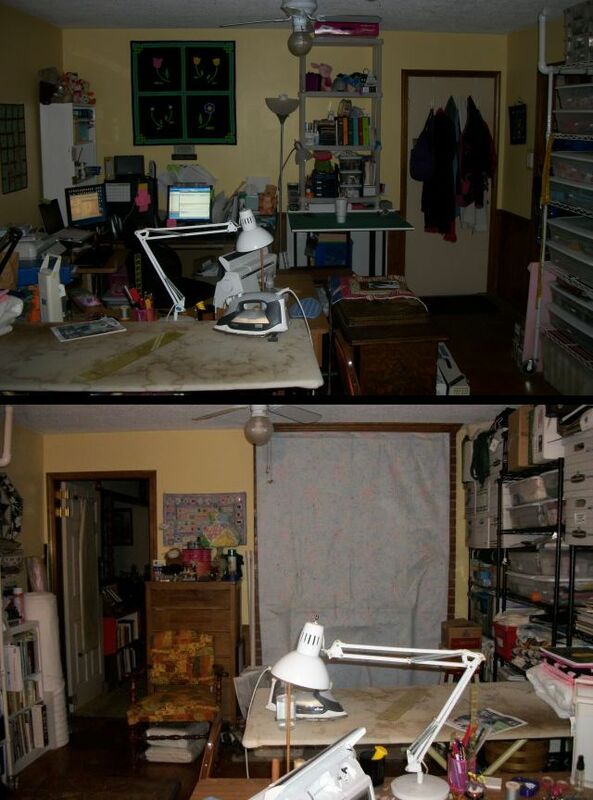 I commented on the post thinking my sewing room was in decent shape and then took some before pictures. Oh, my! It was worse than I thought. So I took another set of pictures that didn’t quite show how bad the room was. Of course now that I look at these, the really bad part (the floor on the other side of the ironing board) isn’t shown – just as well. Anyway, the room is in better shape now. The large crate has been taken out to the garage, the cut off batting from the last couple of quilts has been tucked away into the batting crate and the stacks of fabrics have been put away. I’m calling this one Done. 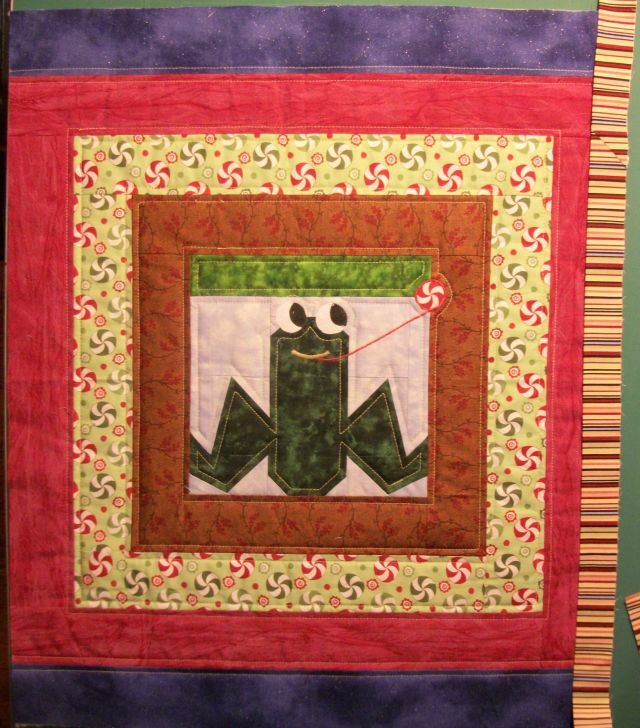 Now back to the Frog quilt. I need to make a label, hanging sleeve and attach the binding. 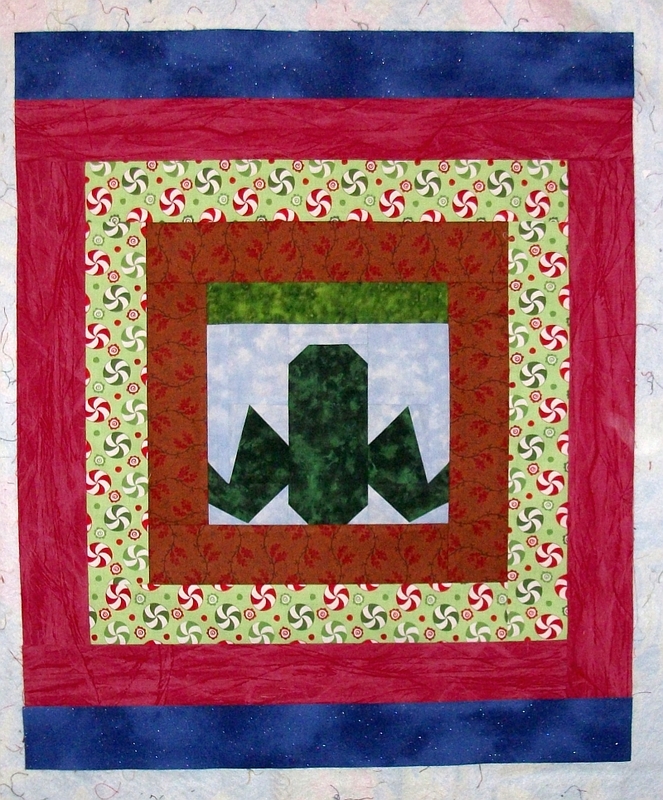 Today I have the Frog quilt laying on the cutting table, waiting for the binding. This little quilt — it measures roughly 20″ x 24″ has taken me nearly 2 years to get this far. The hold up was the face. Between really needing to get it done and a prod from the Final Countdown Challenge I think I might just get it finished today. The magical stash provided the backing and a binding – although now that I think about it the binding and backing are going to clash horribly. Well, it’s a quilt for a Build-A-Bear Frog, so I don’t think Frog will mind. See what others are working on this last week of the year over at Patchwork Times. I’m not one to get a quilt quilted, then not get the binding on, so there are no quilts waiting to be bound in my room. Admittedly there is that quilt that has all but three or four rows and the borders quilted – but that’s more work than I want to tackle right now. 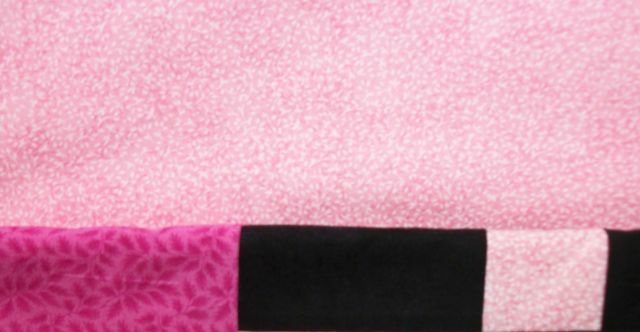 I was all fired up to quilt the black and pink quilt – but that is a huge project – comparably speaking. 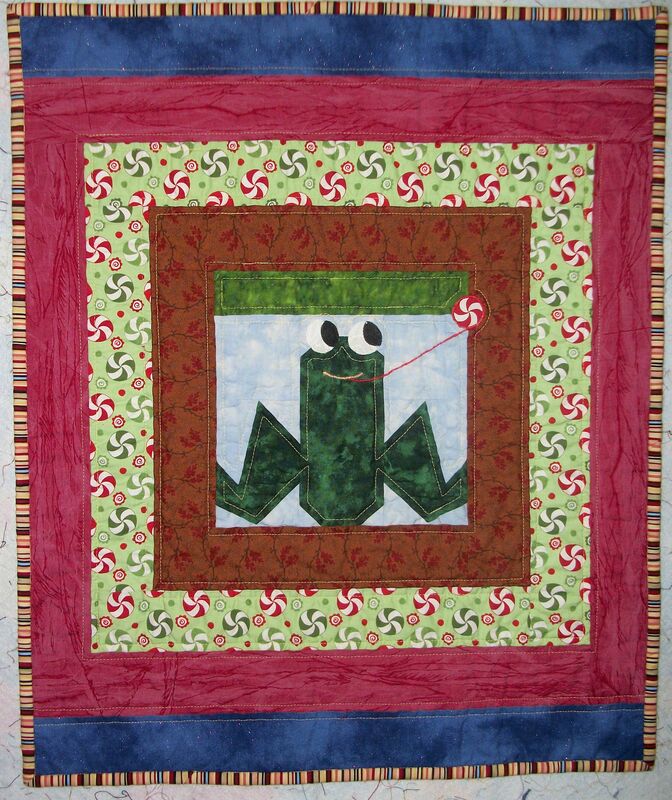 So, I pick the Frog Quilt. It really is close to being finished – at least the top is. It just needs the eyes and peppermint appliqued then it can be quilted — not to mention I really need to get this finished in the next couple of weeks. Of course I’ve said that before. Perhaps this challenge is just what I need to make it happen. 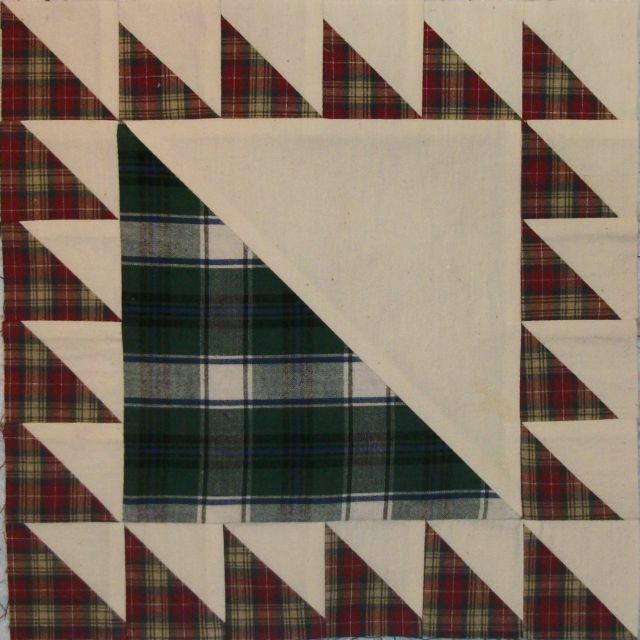 Here’s the direct link to Task One over at Prairie Moon Quilts. I had high hopes for finishing the year with 13 yards out this past week and none in bringing my net stash for the year to about 28 yards added. Alas, I have to be satisfied with having added less than 50 yards to my stash, since I discovered the sheet I planned to use for a pink and black quilt was not 100% cotton. This resulted in a trip to several thrift shops, a recycled fabric shop, Hancocks and Jo-Ann’s and nearly 15 yards of fabric. I found a sheet that I have a plan for, along with three shirts for the recycling bin. My quest was colors I don’t already have tons of (ok, but I really liked the blue) and it had to have a green or orange tag since those were 75% off. I’m counting it as 9.9 yards of fabric for $5.39. But I still needed backing. I found a Kona Cotton for the backing which would also work for the binding. The only problem is after the short piece was removed from the bolt the dye lot changed and the 5 yard piece was not going to work for the binding. So, I had to keep looking. I ended up with the same print that I used in the quilt. The dye lot is slightly off (I did buy the two pieces at least 6 years apart, possibly longer) but I don’t think I’m going to use it for the binding. I’d really like black, but that’s going to be impossible, so I guess I’ll go back and get that pink Kona Cotton when I get it quilted. Oh — where did all the fabric go this week? Binding for Darhon’s quilt, two sets of pillowcases, the bad sheet, and Syd has started a quilt for her cousin and all the pieces are cut and out of my stash. So, here’s the last report for the year. 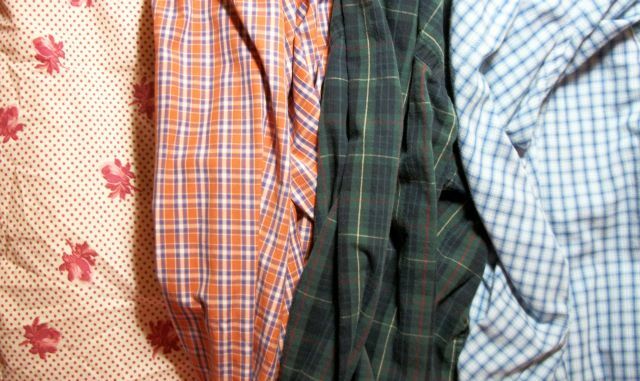 I just did a quick analysis of my year end stash reports and discovered I have brought 300 yards more into the house than I’ve sewn over the past 5 years. No wonder I’ve had to add a few new storage boxes. Looking at the list of UFOs I want to finish next year, I only see two maybe three which requires any additional fabric to complete the top. 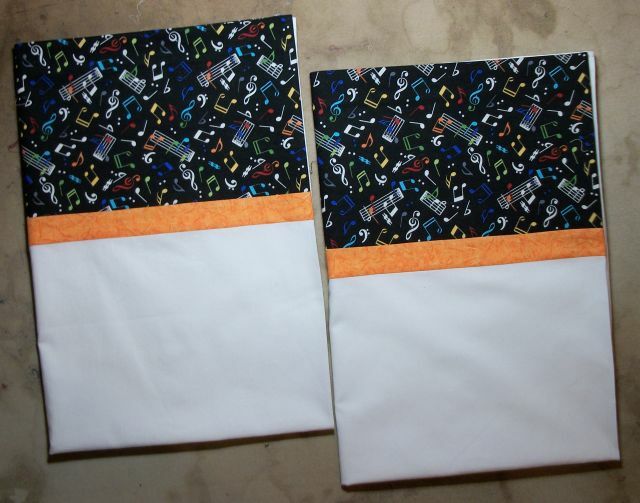 And it looks like I have the backing and binding for most of the quilts that I want to get quilted. So, perhaps next year I’ll be in the black fabric wise. 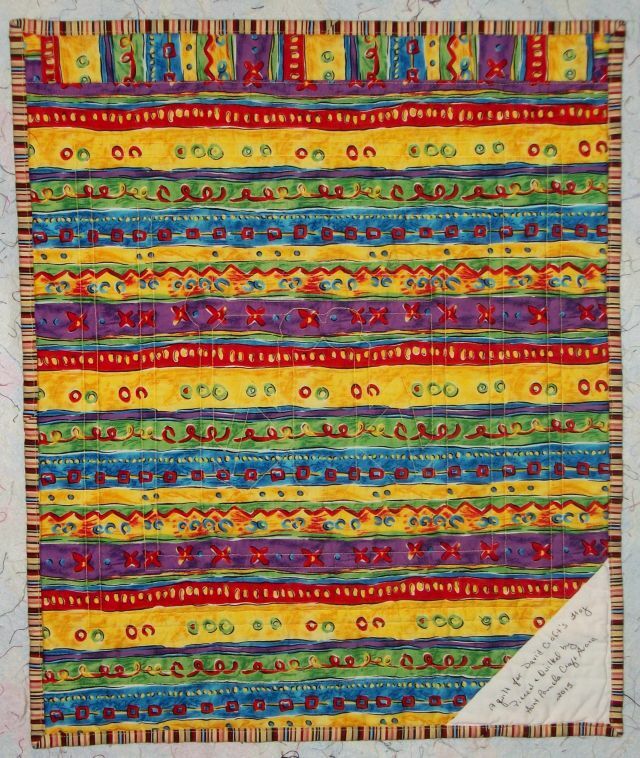 Hop over to Patchwork Times to see how others did with their stash this year. 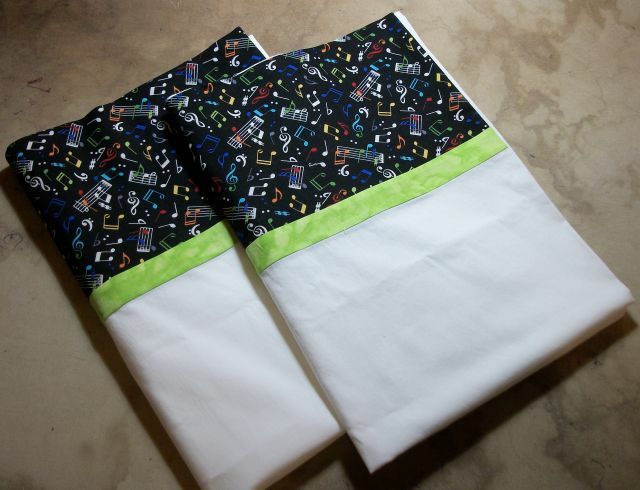 Back in October I bought what I thought was a 100% cotton sheet to use for the backing of one of my quilts. The one I was planning on quilting today. As you can see it was perfect (the pink on the left). Turns out it is a 60 /40 poly/cotton blend. 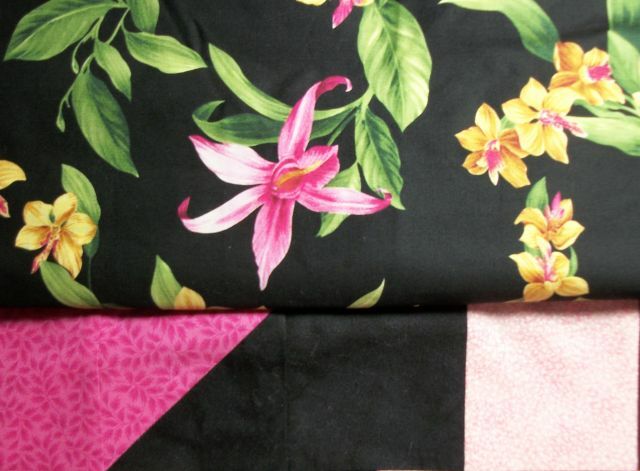 Now I have to decide if I want to use one of these two fabrics or buy something else. Both of these fabrics came from my mother’s stash. The top piece is for a Stack-N-Whack quilt that she didn’t get made and I haven’t yet. The bottom piece was supposed to be a dust ruffle to match the quilt my mom made for my grandmother. I’m rather certain I’m not ready to cut into it yet. The quilt needs a bit of repair from sun damage. So it really boils down to do I want to use the floral print or go buy something new. I’ll let you know what I figure out.